This weekend (and next weekend) the Johnstown Tomahawks travel to the West Coast to take on the Wenatchee Wild. Last season Johnstown visited Wenatchee and in two games they finished with a record of 1-1. So far this season both teams battled each other at the Cambria County War Memorial Arena twice. Each team picked up one win. The two games in Johnstown only a couple weeks ago were very physical and entertaining games. We except to see the same hockey the next two weeks. Coming into this weekend Johnstown is on a two game winning streak and have won six of their last seven games. On the other side, the Wild have won three in a row, and six of their last eight games. Wenatchee is 11-10-2 good for 5th place in the Midwest Division. Johnstown is 14-9-1 good for 2nd place in the North Division. At the beginning of this week we broke the story about the Tomahawks' adding a defenseman to the roster for this current road trip. That player is Logan Hudson. You can read all the details here. Just because the Tomahawks are on the road doesn't mean you have to go without seeing live hockey in Johnstown. 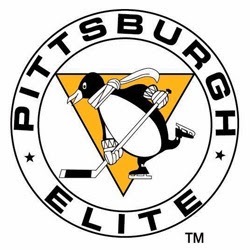 The Pittsburgh Penguins Elite teams will be playing the Boston Advantage at the War Memorial Arena. All details can be found on our blog post here. Eric Tien recently played two games with the Michigan Warriors, scoring no points and was a minus 2. He was released by the Warriors this past Tuesday. We have a new poll at the top right of the page. Make sure you vote. Thanks! 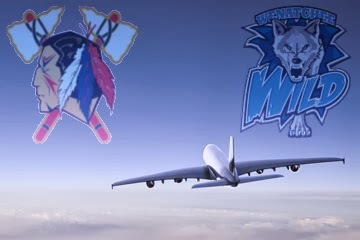 The Johnstown Tomahawks are heading to the west coast this weekend and they'll be taking an extra defenseman with them. Logan Hudson has joined the team as an affiliate player and will be available for the team while they are in Wenatchee. Hudson tried out for the Tomahawks during the off season but failed to make the team. Since that tryout, Hudson has improved his game to a point that Johnstown felt it was a good time to take another look at the young D-man and have him as insurance as the team is 2,429 miles away from home. This season Hudson has been playing for the Michigan Hounds. The Hounds play part of their season in the NAPHL. In nine games, Hudson has one assist and 14 penalty minutes. Hudson stands at 6'1, 210lb and is a 1995 birth year player. In AAA action with the Hounds, Hudson has played in 30 games, scoring two goals, seven assists, good for nine points, and has 87 penalty minutes. 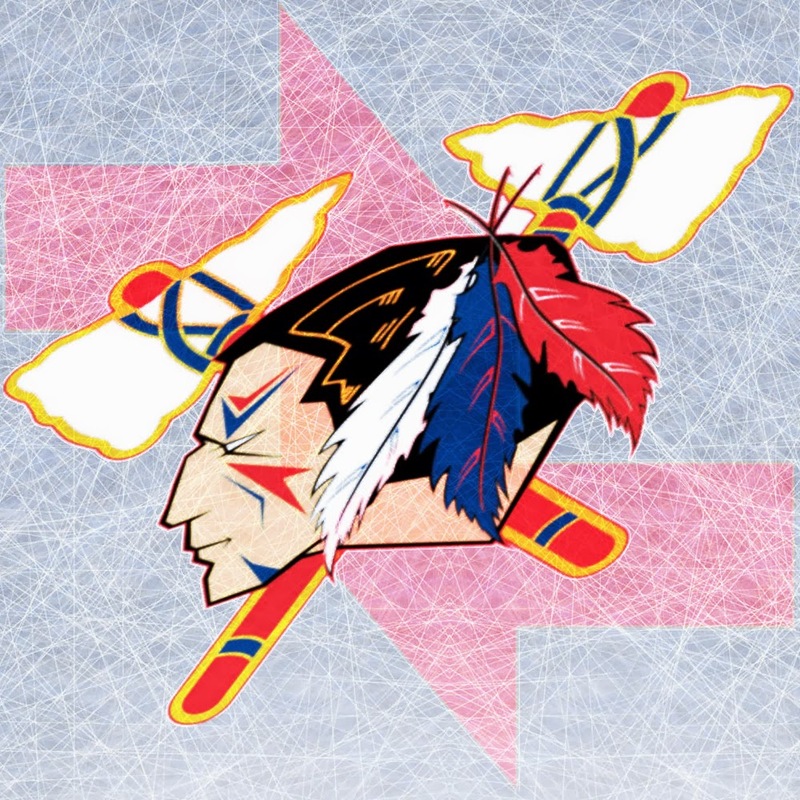 The Tomahawks take on the Wild this Saturday and Sunday, and then take them on again the following weekend. We've updated the roster page, which you can check out now. Note: Cameron Smith, was sent back down to the Potomac Patriots. Smith, anther affiliate player, can be called up to Johnstown at any time. Team celebrate a goal on Friday night. Johnstown found a way both nights this weekend to take all four points, closing out their 11-game homestand on a high note. Port Huron came into the weekend with a ten game point streak, which the Tomahawks broke.Alex Blankenburg had a perfect record, 9-0, which the Tomahawks ended. Port Huron had not lost a game all season when leading after two periods, which the Tomahawks' broke on Saturday night as well. This was a great weekend for the team, and now they will take their momentum on the road, where they'll travel to Wenatchee and play four games, in the next two weeks. They'll then head back east to take on Michigan, before playing Michigan again, only this time at home for New Year's Eve. But before we look deeper into the upcoming games, let's take a look at this great weekend. ---Johnstown went 3 for 4 on the power play. ---Johnstown outshot Port Huron 44-28. ---Jordan Watt had a three point night. It's great to see his hard work pay off. Last season he was third on the team in scoring and that production has gone down this year. His former line mates, Gylling and Kontny aren't on the team this season and that has something to do with his production. This was Watt's second multi-point night of the season. ---The game wasn't as mean as past game's between the two teams, but there was still some great action. ----Mitch Hall had a two point night. He now has more points this season, and in less games, than his totals last year. ---The Tomahawks' didn't play a great game but found a way to get the job done. ---Johnstown's first goal, which brought the teddy bears flying onto the ice was scored by Forest Donovan, his first goal of the season, and first goal in the NAHL. ---Zach Wallace always hustles and that lead to the game tying goal. ---Wallace then had a great move in the shootout to beat Milosek. After the game Milosek was spotted in the party pit looking for his jock. ---Johnstown is now 4-1 in shootouts. Johnstown has never been this good in shootouts, which is nice to see. ---Again, terrible officiating, for both sides. Johnstown is on a pretty good roll right now. If the team can figure out how to play a full 60-minutes every game, watch out. Johnstown is now 14-9-1, good for 2nd place. In a perfect world, the people complaining about the team, would now use their voice to complement them on how the team is winning. Again, in a perfect world. We'll be ready when the Tomahawks' lose again, to hear from them, but hopefully that isn't for a while. Wenatchee is 7-3-1 at home this season, so these next four games are going to be tough, but we beat Port Huron, and they're a much better team than the Wild are. Of course we'll have the Johnstown vs. Wenatchee weekend preview later this week. We've updated the roster page and the alumni page. Check it out. Also add us on Twitter or Facebook to see the latest attendance reports. 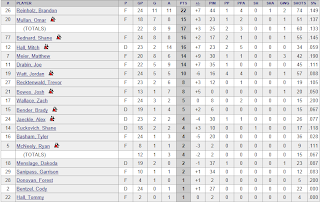 Great to get four points against not only a great team, but a team that's had our number since we've entered the NAHL. Hopefully there's more beating the Fighting Falcons in the future. We have a new poll on the blog. You can find it at the top of the right side column. Vote Now. New poll every week. This weekend is going to look a lot like playoff hockey meets the WWE. It's safe to save Port Huron doesn't like Johnstown and Johnstown doesn't like Port Huron. The Tomahawks are 1-3-0 vs. the Fighting Falcons this season but their only win came the last time they played each other. 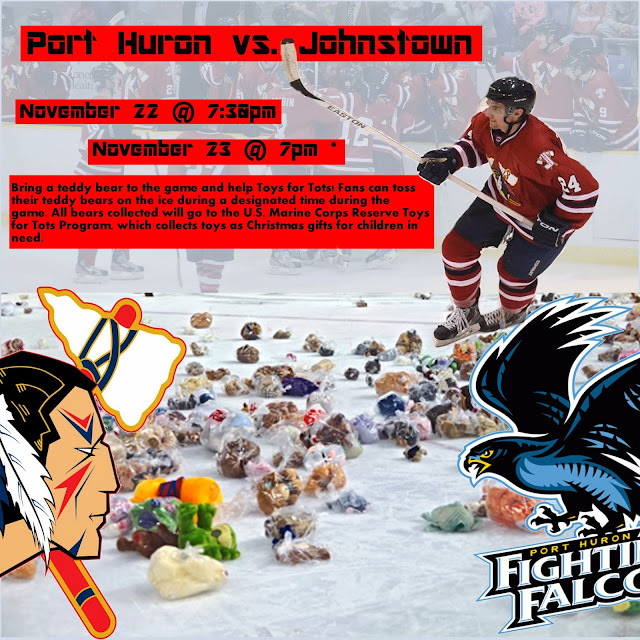 It's possible to beat Port Huron, but it's going to take everything Johnstown has. 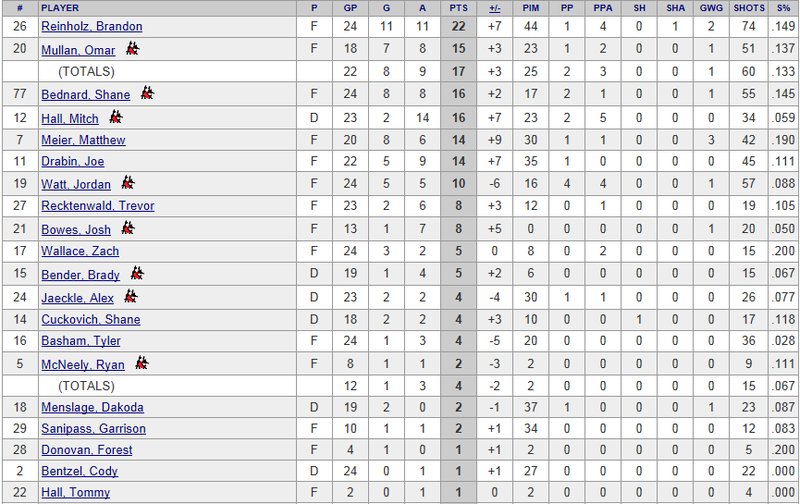 Port Huron comes into the weekend as the second best team in the league with a record of 15-2-4. They've also been able to get at least one point in their last ten games. When you look at the players Port Huron has, they don't have a ton of superstars, what they do have is some of the best goaltending around, and players that play their systems perfectly. Johnstown comes into the weekend with a record of 12-9-1 good for 3rd place in the North Division. There has been some fans wanting head coach Jason Spence fired. We'll save that topic for a rainy day, but we'll say now for the time being, "That's ridiculous". 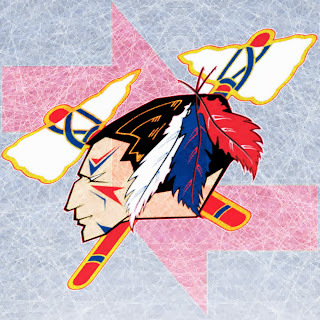 This is the last weekend the Tomahawks play at home until the end of December. After two games, they return to the road again and will not see home ice till January 24th and 25th, vs. Michigan. ---Port Huron gets a ton of scoring chances from inside the slot. They seem to overload on one side and then make a quick pass to the center slot. If Johnstown can remember about that high slot man it should limit some of Port Huron's chances. ---Alex Blankenburg is 9-0-0 this season. He has a save percentage of .955. We can't be selective on our shots. We've got to throw everything at him, and get traffic in front of him. ---Max Milosek is a good goaltender as well, but at times he seems to get distracted by guys around his crease. Johnstown has been able to get Milosek off of his game by being in his face all night long. 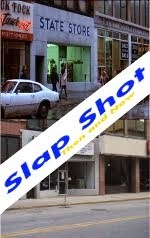 This is something Johnstown needs to do again, but not take penalties in the process. ---Port Huron's neutual ice game is very strong. One of the reasons is because they play so well in the offensive zone. Johnstown hasn't been able to figure out how to counter this more than a few times. Instead of using the long pass, and connecting only a select amount of times, Johnstown needs to use their speed to get to the red line and then get it deep. But that's only the first half. Johnstown then needs to be hard on the puck to keep it in the zone. With the speed Johnstown has, this shouldn't be a problem, but the players have to be 100% commited to the system. ---Port Huron isn't the best team in the league on the penalty kill so if Johnstown can get the man advantage they have to create good chances. Quick shots from the D, and having Bednard be the power play quarterback will help their chances. ---This is the first weekend that we can remember that same ref will be officiating both games, Daniel Keenan. Whoever can get on his good side early will benefit all weekend long.